The Igbo (or Ibo) are one of the three principal ethnic groups in NIGERIA. Their homeland, Igboland, straddles the NIGER RIVER and covers a territory of some 16,000 square miles. But the Igbo, who number about 20 million, can be found throughout Nigeria, not just around the Niger River. 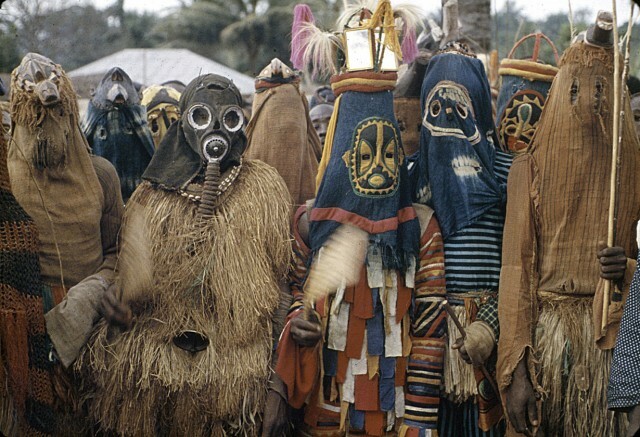 They form one of the largest ethnic groups in Nigeria’s Delta State. The Igbo appear to have been a separate ethnic group for over 6,000 years, and several Igbo civilizations have risen and fallen during that time. Although the population density of the Igbo is extremely high, they live in small farming communities with no strong central authority. During the colonial era many Igbo became government officials.